When we visit the mall you’ll be surprised at how many brochures will be handed out to you. Some offers food budget meals, furniture sale, clearance sale, the latest in mobile models and a lot more. If you will accept them all you will end up having a dozen or more ads or promos. Well when I receive one brochure after another I always look at their style in advertising their products and I’m very interested at the way they present their plans. 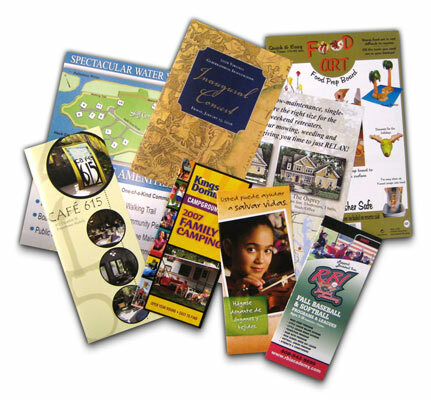 I’m talking of the color and design of the brochures because I know that brochure presentation is a major factor in the introduction and sales of products. Well it’s not so hard now to have a nice and quality brochure as there are printers online who will do it for you just like Conquest Graphics which offers quality printing at a fair price you’ll afford. They will guide you through the order and design process. Just make sure that you have all things you need to know in ordering a nice printed brochure like full color, paper, size, folding options, mailing, wrapping and shipping. Then it will be all too easy for you to achieve the best brochure for your products and services. Aside from delivering fast, easy and affordable service they’re eco-friendly too!